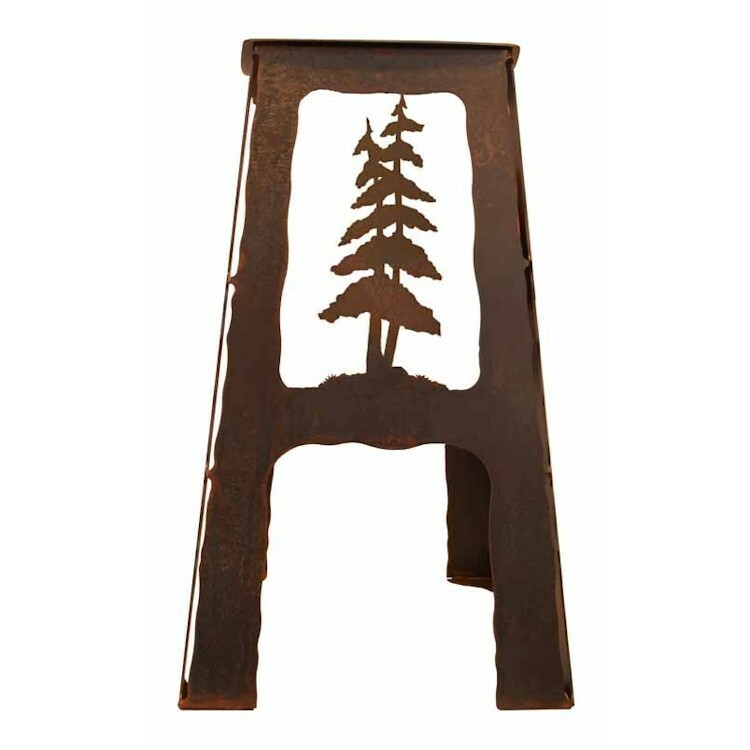 This unique Pine Tree Metal Bar Stool will be a real conversation piece at your bar. Hand crafted of heavy metal with a rust patina finish. Seat is curved for maximum comfort.